How long is it since I last wrote here? Ages. After graduating from Aston with a 2:2, I and some friends went travelling around the world for a year (more details under "Travel", above, or on Chris's site, one of my travelling companions. I then did a Masters in Compter Science at the UEA, followed by several months being bored stiff doing admin for the DWP. After another trip interrailing and some months on the dole, I now work in Technical Support at Unipalm, supporting UK and French customers in network security products, email filters and website stats packages. 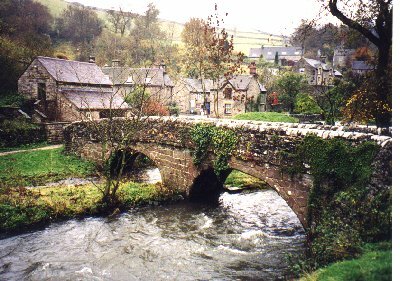 Here's a nice picture from Dovedale, Derbyshire, one of the most picturesque areas of the country. This beautiful picture comes from the official Norwich Cathedral website. As I come from Norwich, it's a wonderful sight - it reminds me of home. I was born in the town of Great Yarmouth, though to me it isn't very great at all - in fact I would call it a bit of a dump. But then that's just my opinion. The city of Norwich is a much nicer place. As I went to school there for 7 years, I think I could say that I know it. 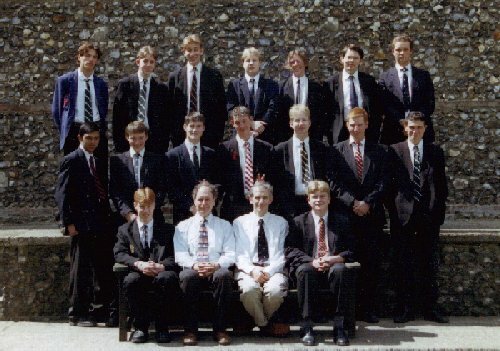 Here are the remaining members of my Lower IV year who made it to the Upper VI. You can see me, 5th from left in the middle row. My interests are very varied. As well as football and rugby, as explained in the main text, I also like sailing, mainly on the broads, in old wooden cruising yachts. Well, as well as anything else afloat with a sail. I like all things technical : that ranges from computers, to cars, aeroplanes, anything like that. And of course languages, travel, all things foreign I like. (Stemming from my trip to Brazil last summer, I also gained an interest in South America.) As I once said to a friend, no holiday period is complete without a trip abroad. Reading flows from my interest in languages, both in English and in French. That's one of the main reasons I studied French at University. (The other being that language studies have the least work!). 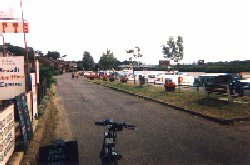 I used live with my mum and my sister in a house in the village of Reedham, on the Norfolk Broads (which may explain my interest in sailing). It's right next door to the village fish and chip shop. Which is good for when cooking seems like too much trouble ... Now I have my own house in Brandon, Suffolk, near to where I work in Newmarket. This is the view from my old bedroom window at Mum's house. 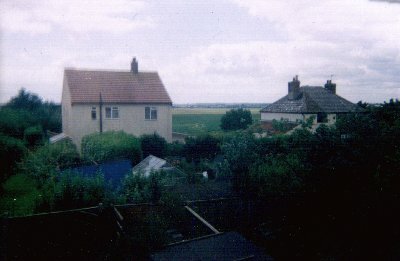 You can see the marshes, but the River Yare is hidden by the house and the hill upon which most of the village is. As you may have guessed from the main page, more specifically from the "Brazil Update" section, I am a Christian. I believe in one God, the Holy Trinity, and all His power and glory. I come from a Christian family, so I can't really say exactly when I found God, but I think the summer "Bible Camps" (led by David Dixon and John Fox) on the North Norfolk coast made me realize exactly what I was believing in. Instead of religion being just something I did, it became a voluntary belief. It was my decision, and I'm glad I made it. This is the river front in the village of Reedham, where I live. 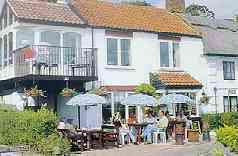 The photo on the right is of the tea room in Reedham, Norfolk, where my mum used to work. If you look closely, you can see her - second from the right. The establishment was also a Bed and Breakfast, and a hair salon. The owners have since sold up and moved to Spain, and it is now just a house. Hobbies : Sailing, travel, reading, cooking / food, computing, football, anything technical really! Favourite music : Many different styles. Delirious, Queen, Meat Loaf, Bon Jovi, Mike Oldfield, Robert Miles, Jean-Michel Jarre, REM, Pulp, early Oasis, Sash, Lightning Seeds, etc. etc. Car : Rover 214, L reg. Getting on a bit now. Religion : Christian. I don't believe we should have so many different denominations - we all believe in one God. Marital status : Wouldn't you like to know?..